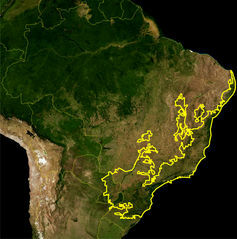 Brazil’s Atlantic forest – Mata Atlântica – is one of the world’s great biodiversity hotspots, rivalling even the Amazon. Running on and off for several thousand kilometres along the coast, the forest is home to 10,000 plant species that don’t exist anywhere else, more bird species than the whole of Europe, and more than half of the country’s threatened animal species. Today, the ecosystem it sustains is under threat: trees have been cleared for farms, houses and roads, big cities such as Rio de Janeiro and São Paulo have grown in the region, and just 15% of the original forest remains. But it’s not all doom and gloom for the Atlantic forest. Myself and collaborators from Universities of São Paulo, Michigan, Toronto, and UNESP, have published a study in the journal Science which shows that paying farmers to conserve areas of forest within their property is good value for money. The key message from our work is that it is possible to protect native species, maintain a healthy ecosystem and potentially reduce poverty, all for less than US$200m each year. These results are interesting for at two reasons. The first is very simple, our conclusions are not calamitous – instead of showing that it is the end of world as we know it, we show that human welfare and conservation needs can both be satisfied for a reasonably small amount of money. The headline number seems large, but it only represents less than 0.01% of Brazil’s GDP. The second reason is much more complicated, however. Brazil is heading for an election in October, and as it stands anything could happen. This is important as the current government is in the process of relaxing the Brazilian Forest Code which would, among other things, allow farmers to set aside a smaller proportion of their land to native habitat. This has sparked a fiery discussion among conservationists, scientists, politicians and farmers. Previously, the code required farmers living within the Atlantic forest to set aside 20% of their land for native habitat. Farmers were prevented from designating land they couldn’t use anyway such as particularly steep terrain or areas close to rivers, so many had to set aside more than 20% of their land. In theory, this was great for biodiversity; in practice it never worked as farmers didn’t respect the law, often because they couldn’t afford the economic costs of setting aside productive agricultural land for conservation. 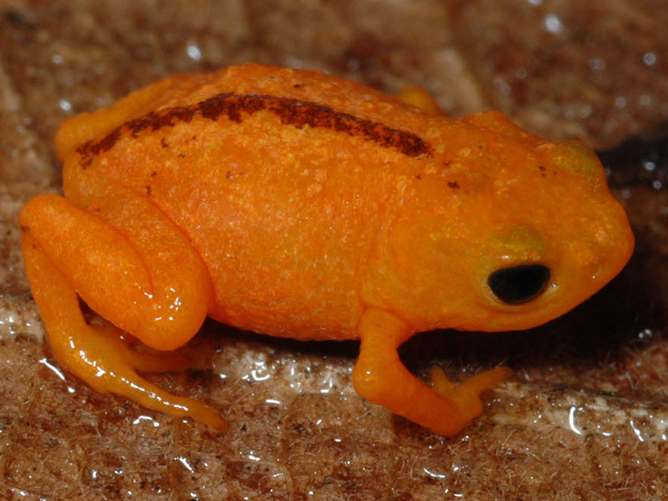 The other side of the coin is that the new code is unlikely to protect the Atlantic forest’s species. But, up until now, nobody knew how much habitat really was needed. What our results show is that at least 30% of the forest area needs to be set aside for conservation if we are to preserve a healthy ecosystem. This is great news for Brazilian scientists and conservationists, because now they can use a number to base their arguments while discussing the changes to the Forest Code, instead of saying the usual “more the merrier”. But the suggestion that more forest is needed to preserve biodiversity doesn’t mean the battle between farmers and conservationists has to continue. This is because the onus of increasing forest cover from 20% to 30% doesn’t have to solely fall on farmers. There are already some schemes that pay farmers to set aside part of their land for the protection or restoration of native habitats. These schemes are usually run by local governments or NGOs and the rationale is that they are paying people to protect crucial ecosystem services, such as carbon storage, watersheds (or water quality) and the functions provided by a healthy spread of plants and animals such as pollination, or pest control. We show that if the Brazilian government expands these schemes, then we can have both happy farmers and happy biodiversity. This does not mean that every single farm in the Atlantic forest would have to set aside 30% of its land for conservation. It also does not mean that we would protect all species from extinction, as some need 100% of pristine forest. But if priority areas were restored to at least 30% native habitat cover, the price to pay would be less than 6.5% of what Brazil currently spends on agricultural subsidies. Farmers willing to set aside land for conservation would receive regular payments, local communities would receive the benefits of enhanced ecosystem services, and native species would be protected. Sounds like a good deal. Whoever wins Brazil’s election will have to deal with either angry farmers or angry scientists and conservationists. Our study thus reveals a promising light at the end of the tunnel – the suggestion that the new government might not need to make compromises; potentially this is a battle everybody can win. Cristina Banks-Leite, Lecturer in Life Sciences at Imperial College London, does not work for, consult to, own shares in or receive funding from any company or organization that would benefit from this article, and has no relevant affiliations.